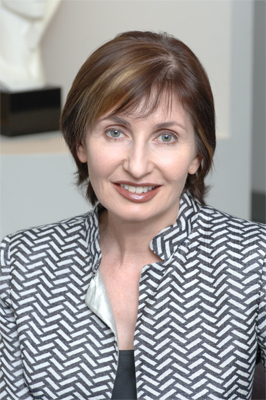 Dr. Mary Dingley is the spokesperson for the Cosmetic Physicians Society of Australasia. Question: Can you please talk about the dangers associated with laser/IPL devices in untrained hands? Dr. Mary Dingley: Laser and IPL devices are generally safe when used by medical professionals with the appropriate training, however, their use by people with little or no training presents a clear danger to patients. The most common forms of injury are discolouration, burns and scars, because untrained practitioners may be operating devices at the wrong levels or on the wrong type of skin. There's also a risk of eye damage and other rare complications that someone without training would not be able to manage. In some circumstances, inadequate hygiene may present a risk of cross infection between patients, which also presents serious dangers to patients. Providing a laser or IPL treatment requires an understanding not only of how the devices work, but also any potential side effects that may result from the treatment. We therefore encourage intending patients to visit a doctor or carefully check the credentials of the laser or IPL operator when having a treatment. Question: What are the current regulations in regards to the use of laser and Intense Pulsed Light (IPL) devices? Dr. Mary Dingley: At present, the use of IPL and laser devices remains unregulated in Australia's two most populous states, NSW and Victoria. Both state governments say they are waiting for national regulations to be put in place before they proceed with new rules and the national regulator - the Australian Radiation Protection and Nuclear Safety Agency (ARPANSA) - is moving very slowly on this. Both Queensland and Western Australia regulate the use of lasers, but not IPL. Question: How would you like to see the regulations tightened? Dr. Mary Dingley: The Cosmetic Physicians Society of Australasia (CPSA) would like to see the introduction of national regulations, or uniform state and territory based regulations, for the use of both laser and IPL devices. More specifically, the CPSA wants the ARPANSA, which is a Federal Government agency charged with responsibility for protecting the health and safety of people from the harmful effects of ionising and non-ionising radiation, to list laser and IPL devices in the National Directorate for Radiation Protection (NDRP). By listing these devices in the NDRP, state and territory governments will in turn be required to bring in their own regulations. be restricted to certain treatments - for example, beauticians should not treat sun spots or other marks. These treatments should only be performed by a medical practitioner or under medical supervision. In addition to this, the devices themselves should be licenced and regularly check-calibrated and maintained. Question: There are many cases where patients have been permanently scarred from IPL and laser treatments, what should a client ask their beautician before beginning laser and Intense Pulsed Light (IPL) treatments? Dr. Mary Dingley: To ensure you're in the best hands we recommend visiting a qualified medical practitioner. Doctors, especially those who work in skin medicine, are trained to recognise certain skin conditions that may make laser and IPL treatment either potentially harmful or ineffective. They can also diagnose melanomas or skin cancers. In addition to this, doctors are required to do ongoing training and professional development throughout their careers and are also trained to deal with adverse reactions if they arise. Potential patients should be wary of the qualifications of beauticians and other practitioners. Qualifications differ and some courses require as little as six hours of instruction, or sometimes are delivered entirely online with no hands on instruction. Until national regulations are brought in, there is no minimum standard of training or qualifications for laser and IPL. Question: Are there states in Australia that have tightened their use of laser and Intense Pulsed Light (IPL) device regulations? Dr. Mary Dingley: Currently only Queensland and Western Australia have regulations for lasers, but not IPL. Tasmania also has some state-based regulations. Question: What type of training is currently recommended for use of laser and Intense Pulsed Light (IPL) devices? Dr. Mary Dingley: Currently there are no regulations in place regarding training, however the companies that sell the laser and IPL devices generally provide some training about how to use the device. This training often doesn't look at addressing the potential side-effects of the treatments and will not (and should not) provide beauticians with the ability to diagnose skin conditions, pre- or skin cancers, which should never be treated by anyone other than a medical practioner. If a melanoma or pre-skin cancer spot is treated it can change its appearance and delay diagnosis, which could have fatal results. Question: How can the use of use of laser and Intense Pulsed Light (IPL) devices change the appearance and delay diagnosis of melanomas? Dr. Mary Dingley: Laser and IPL treatments can change the appearance of the skin (such as in the case of skin rejuvenation treatments) and could potentially mask pre- or skin cancers, which in turn would delay diagnosis as the patient may not notice the melanoma or think that it has already been "treated" sufficiently.